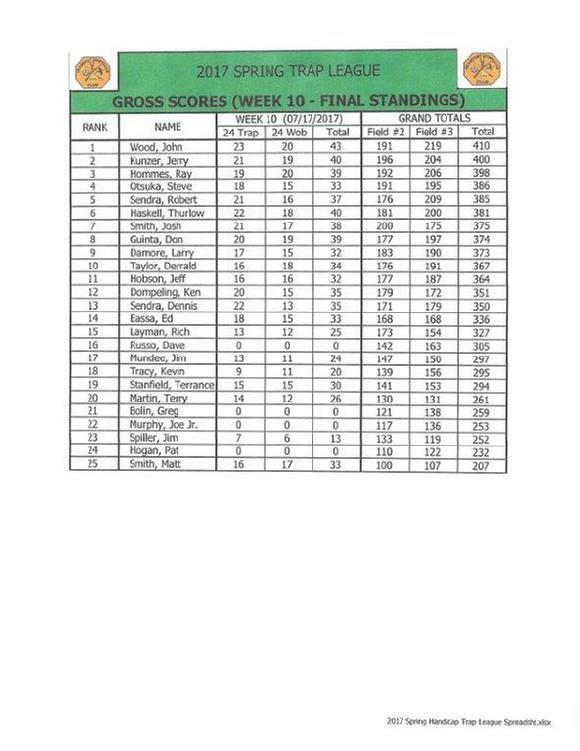 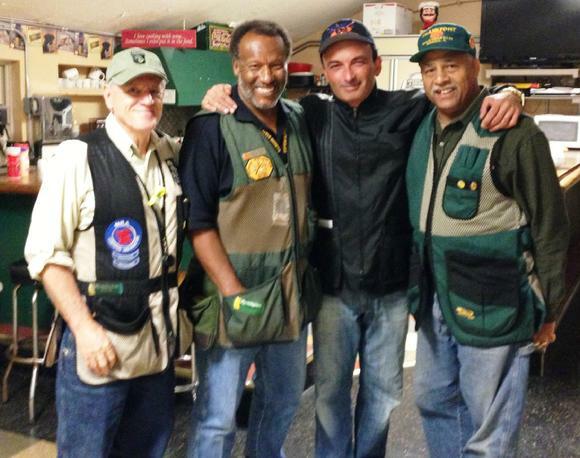 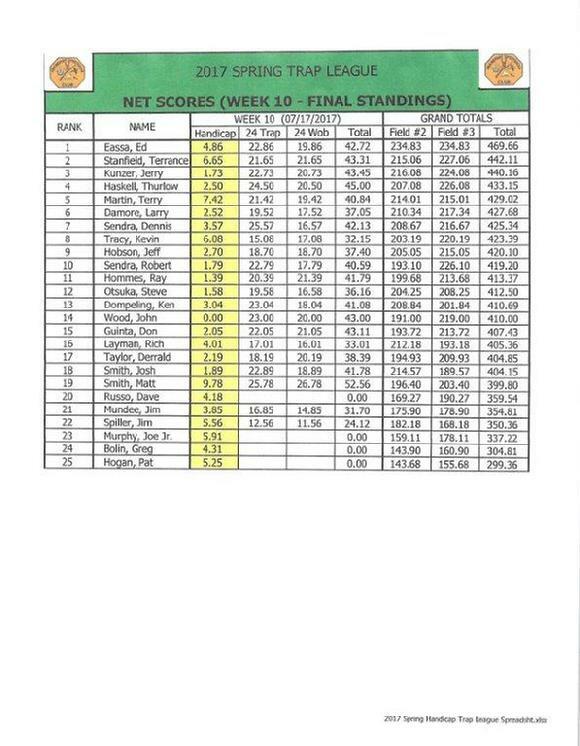 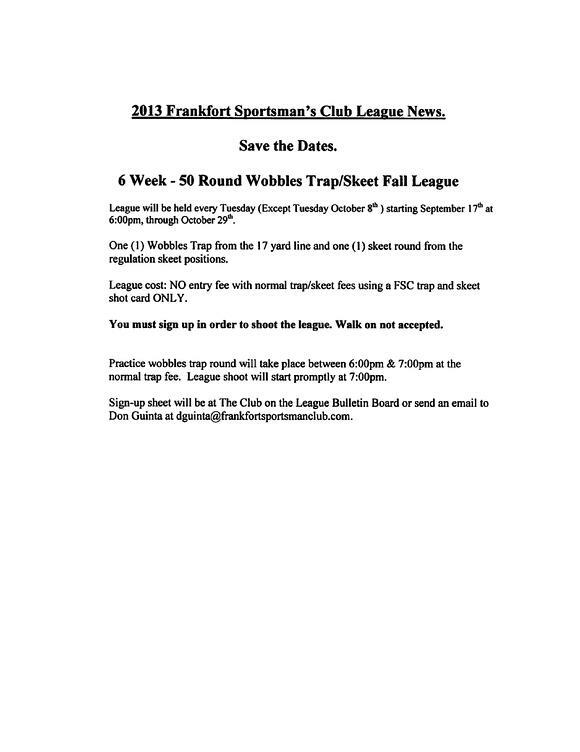 2013 Frankfort Sportsman’s Club League News. 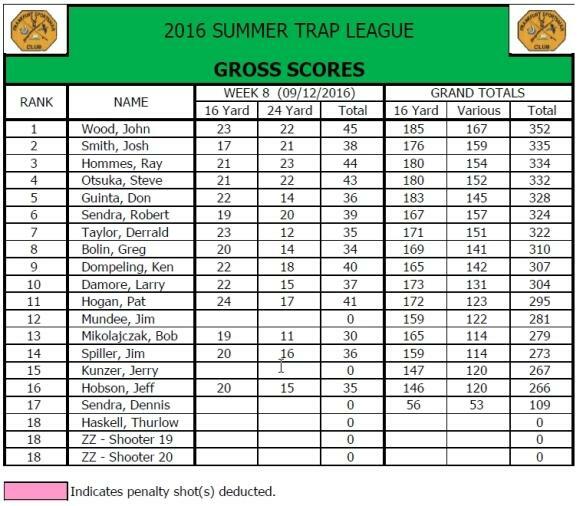 One round at the 16 yard line and the second round at the handicap line between the 20 – 25 yard line. 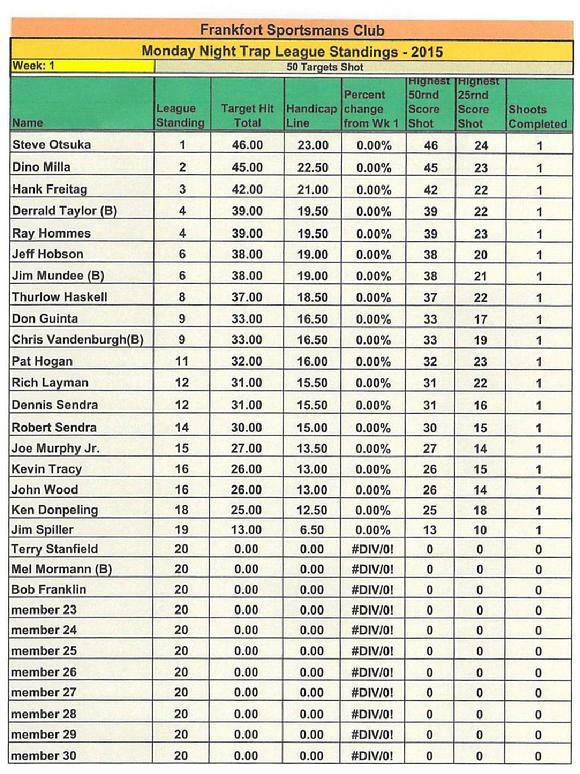 Handicap will be determined after the first night shoot of two rounds at the 16 yard line. 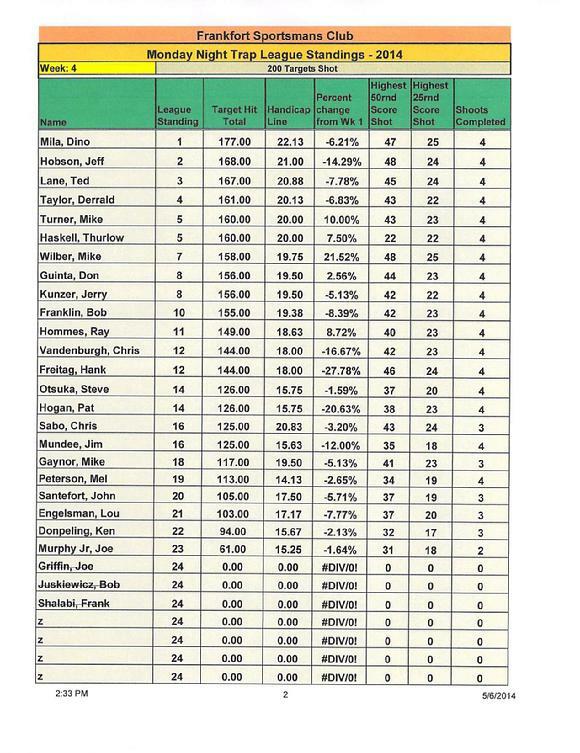 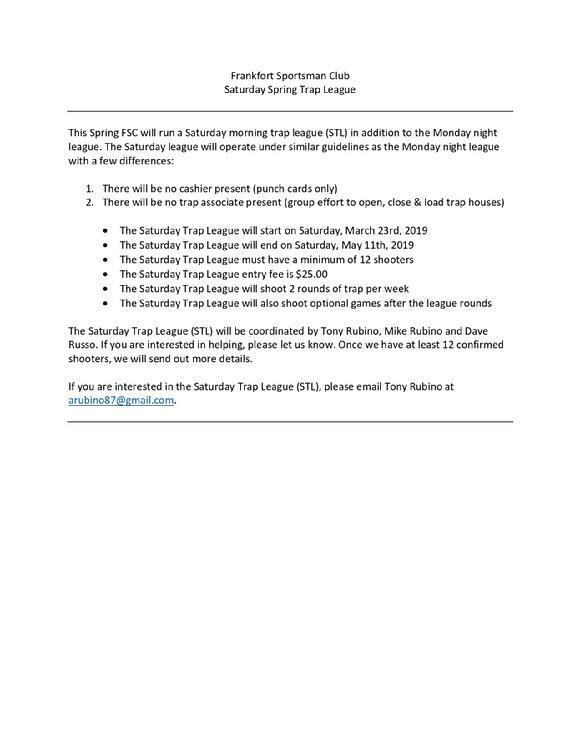 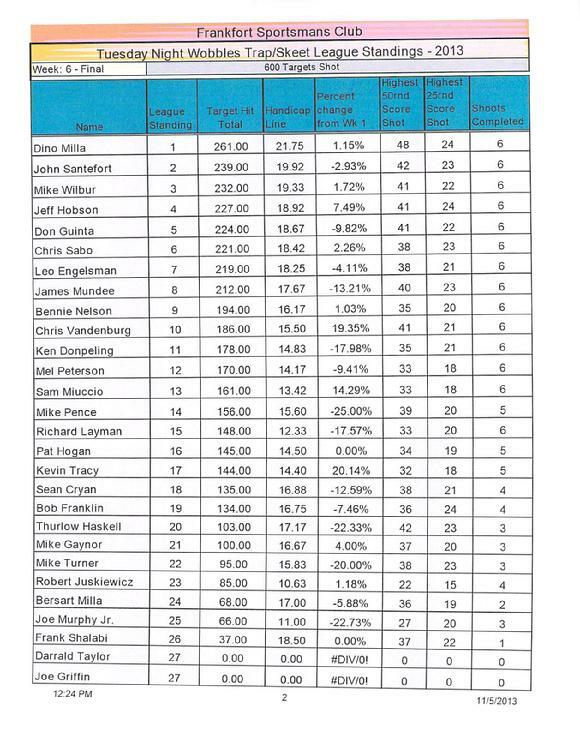 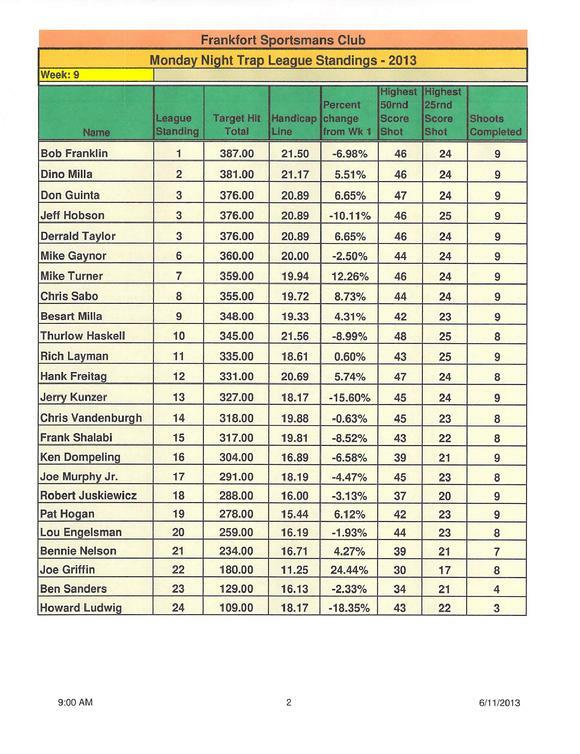 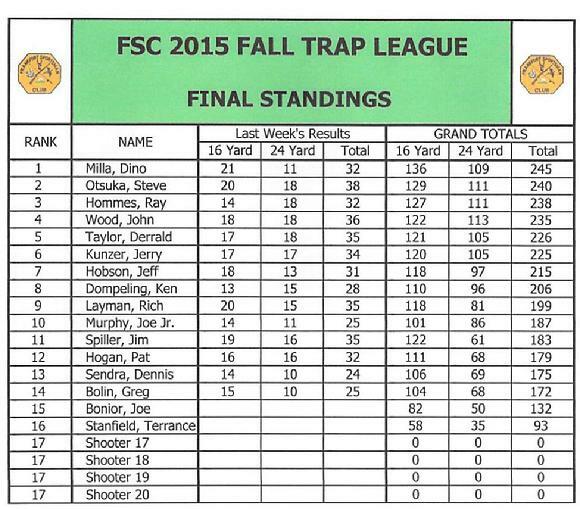 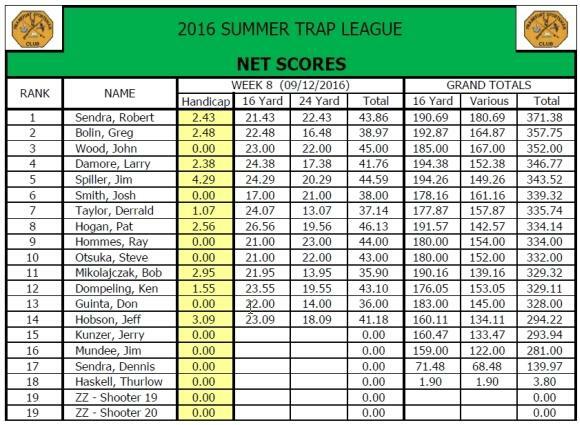 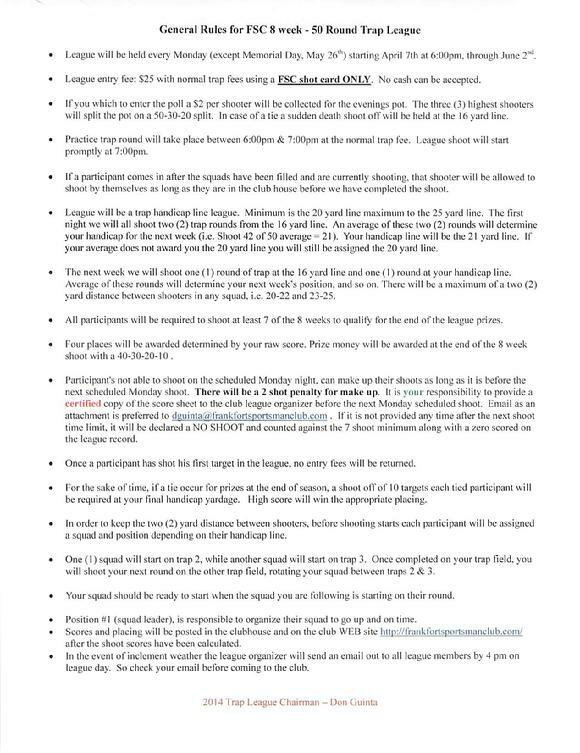 League cost: $25 entry fee with normal trap fees using a FSC shot card ONLY. 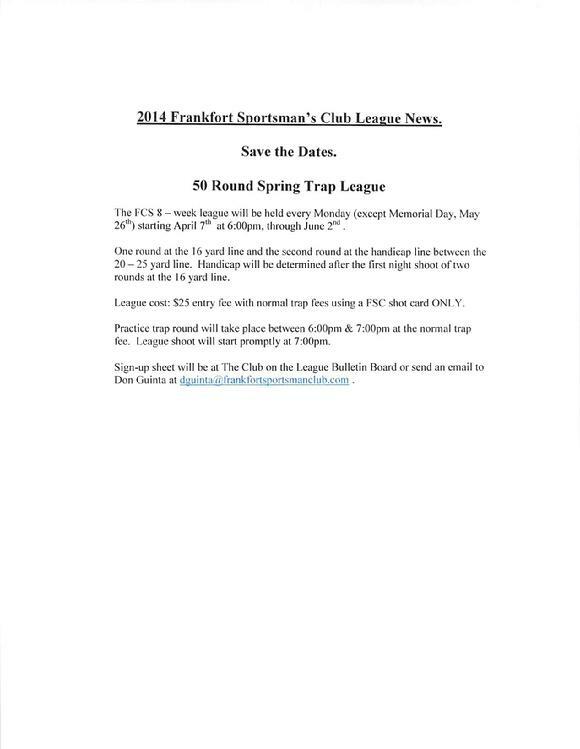 NEW THIS YEAR - Practice trap round will take place between 6:00pm & 7:00pm at the normal trap fee. 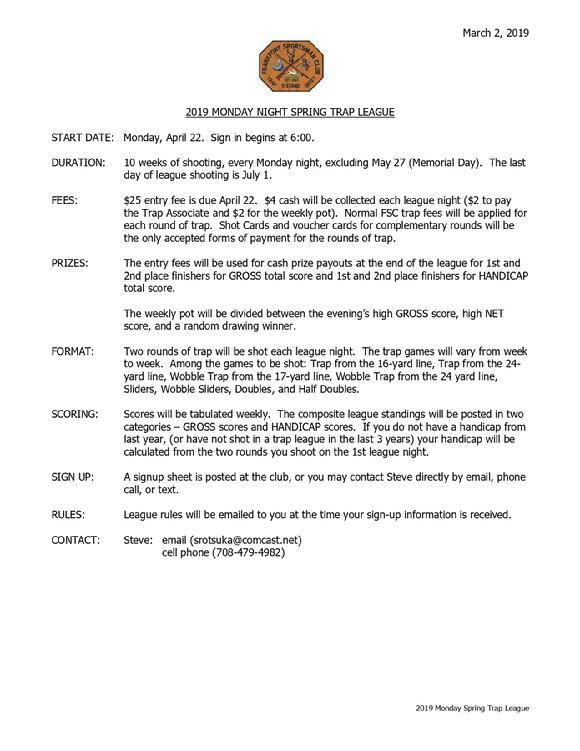 League shoot will start promptly at 7:00pm.